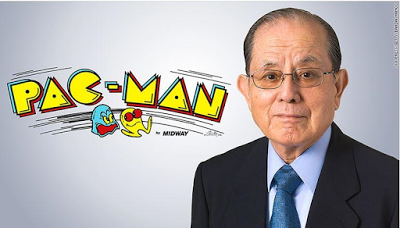 Masaya Nakamura founder of Namco, the arcade trailblazer known as the Father of Pac-Man has died at the age 91. Masaya created the Japanese company behind the wildly popular dot-munching video game, in 1955. It began with two electric horses on the roof of a department store. The company became Bandai Namco after its merger with a gaming company in 2005. Nakamura died on January 22, 2017 and the company announced his death on Monday, January 30, 2017. A private wake and funeral were held for Nakamura, and a separate memorial is currently being organized. The famous Pac-Man game sold more than 100,000 units in its first year in the United States and was named the world's most successful coin-operated video game by Guinness World Records in 1981.